6 Apr 2017 WASHINGTON, D.C.
Senate Republicans used the “constitutional option” to change longstanding cloture rules around 12:30pm Thursday, clearing the way for Judge Neil Gorsuch to receive a vote of the full Senate on his confirmation to the Supreme Court. Republicans resorted to the party-line 52-48 vote after weeks of wrangling over Gorsuch’s nomination in which Senate Democrats threatened the first partisan filibuster of a Supreme Court nominee in American history. 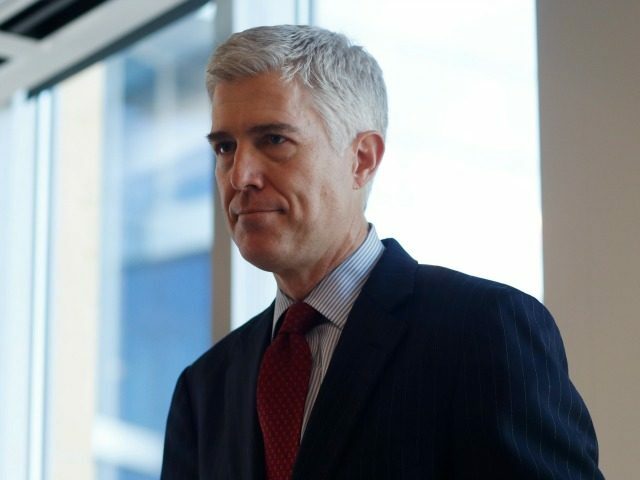 After the Democrats assembled the forty-one votes needed to prevent the end of debate under current rules, the constitutional option allowing cloture on a simple majority became the only remaining path to placing Gorsuch on the Court. Vice-President Mike Pence, who would have been needed to break a tie should any two Republicans have voted to maintain the 60-vote cloture rule, was not present for the vote, indicating Republican confidence their entire caucus would agree to the change. Senate Majority Leader Mitch McConnell (R-KY) moved for a point of order after his first attempt to invoke cloture failed with only 55 votes. From the podium, he cited the need to “restore Senate norms” in light of the Democrats’ “unprecedented partisan filibuster” of a Supreme Court nominee. McConnell invoked the precedent of Senate Democrats’ own change to same simple majority cloture rule for all presidential nominees but those to the Supreme Court in 2013 in calling for an override of the Senate chair’s determination sixty votes were needed for cloture. That appeal passed on a party-line 52-48 vote. Thursday’s historic move harmonized Senate rules, removing the possibility of minority filibusters of Supreme Court nominees. Given the reluctance, in the past, for either party to filibuster a Supreme Court nominee with majority support, the constitutional option restored, as a practical matter, traditional Senate custom in this area. A successful cloture vote quickly followed the rule change. The 55-45 vote began a thirty hour countdown to a vote of the full Senate. Judge Gorsuch is, therefore, slated for the final vote on his confirmation no later than seven o’clock Friday evening. All 52 Republicans and three Democrats are expected to vote for his confirmation, allowing him to replace Antonin Scalia as Associate Justice of the Supreme Court of the United States.